Hurrah! No more excuses. Your life jacket’s too hot? Try an inflatable. Worried a PFD makes it difficult to reenter the kayak? Look at a hybrid. PFDs are too bulky? Plush, form-fitting foam hugs your curves. 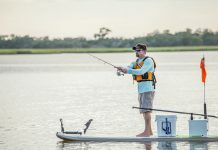 The latest generation of personal flotation devices offer anglers more options for more comfort and more convenience, leaving no excuses. Wear it. Ripstop shell and universal sizing make the Calcutta a great PFD for anyone. The utilitarian design is full of features including large pockets and several attachment points. 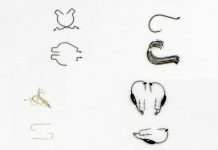 Ripstop nylon defends against hook points and sharp objects, prevents splitting and cracking while reducing weight. The Calcutta is also a reliable backup PFD to give to a guest. Bulky foam may be overkill for smaller paddlers, but padded shoulder straps and long side straps dial in this PFD to fit anyone. NRS put all their creative energy into the Chinook. customizable functions. Seven pockets in the front offer space for small and large gear with lashings for a knife, safety light and even a rod holder. Nine adjustment points and a full front zipper snug the Chinook to a perfect fit. Best of all, the soft, plush foam conforms to fit the angler. In Greek mythology, the Khimera is a monster combining a lion, goat and a snake. Mustang Survival’s Khimera PFD is a hybrid of an inflatable and foam life jacket, but it’s no three-headed monster. The foam provides eight pounds of inherent flotation. Pull a cord, and an inflatable bladder adds another 12 pounds of buoyancy. A single, large pocket in front is sufficient to hold safety gear and a cell phone. Side entry with two adjustable buckles eliminates zippers and buckles on the front. A bulky PFD loaded with fishing gear might make climbing into a kayak from the water more difficult, but the Khimera’s low-profile foam and obstruction-free front panel makes it easy to reenter. The Leviathan PFD reflects Kokatat’s roots in the Pacific Northwest where outerwear is a matter of survival. The soft, flannel liner and insulated pockets are welcome on cold, wet days. 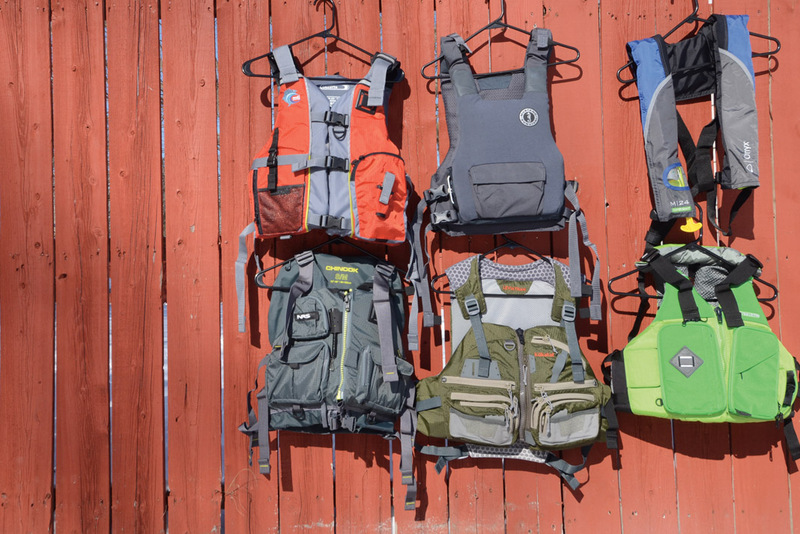 Kokatat packed 14 pockets on the front of the vest, so there’s always a perfect place to store tackle and safety gear. The high back fits over any seat frame. The chassis features wide shoulder and kidney straps with foam forming to fit the body. Inflatable life vests are a great choice for anglers in sheltered waters. The Onyx M-24 is a no-nonsense inflatable focused on comfort with a wide neck yolk and padded neoprene collar. A wide belt keeps the M-24 in place and is long enough to fit any size of paddler. Manual inflation provides predictable and reliable flotation with an oral inflation tube for backup. Check the clear plastic window in the bladder chamber to see if the CO2 canister is armed. The M-24 also comes in an automatic model inflating when it hits water. This is one of the few life jackets available in camouflage pattern for gun sports. Astral Designs went out of the box to make the Ronny Fischer comfortable and functional. The thin, vented foam along the spine keeps anglers cool and comfortable against high seat backs. Low-profile pockets in the front fold down to fill with gear. There’s even a hideaway cup holder. The coolest feature is the stowable hood in the collar, a welcome relief on sunny or rainy days.